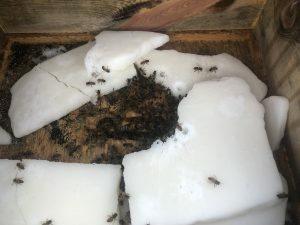 Today I did a quick check of my hive. 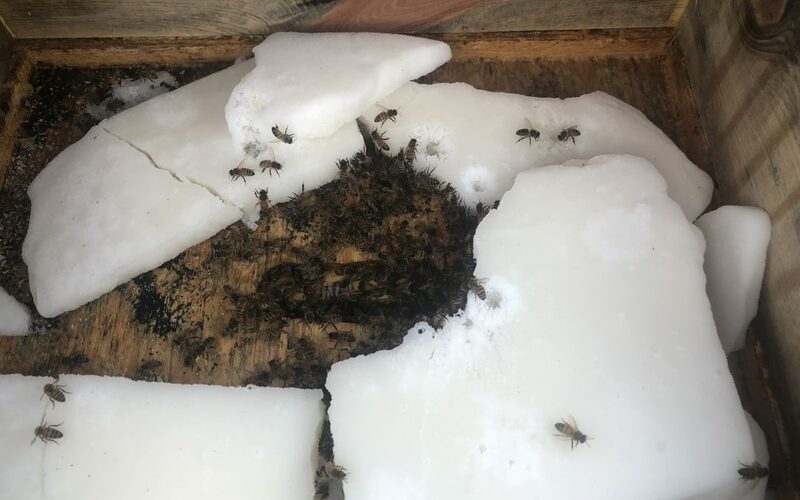 The bees were actively eating the fondant I made and put in earlier this year. Thebees that were flying around outside we’re coming back with their legs laden with orange pollen. It was 63 today. Partly to mostly sunny with a south southwest breeze.